The Geekvape Creed RTA Tank, which made of high-quality stainless steel and pyrex glass material, 6 fashionable colors available. 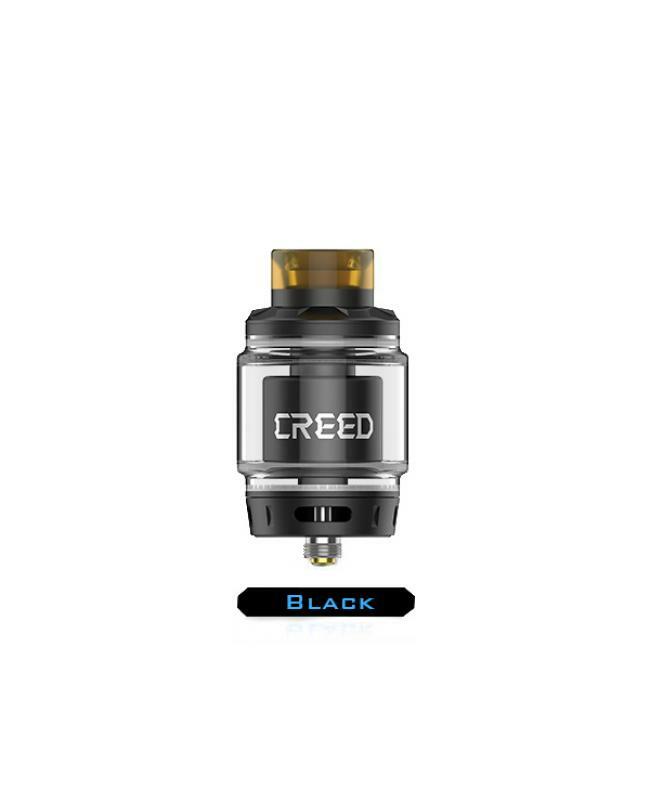 the newest geekvape RTA pre-installed wide bore 810 drip tip and 510 drip tip included, the bubble glass tank can hold 6.5ml e juice, 4.5ml regular glass tank included. 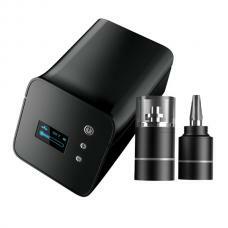 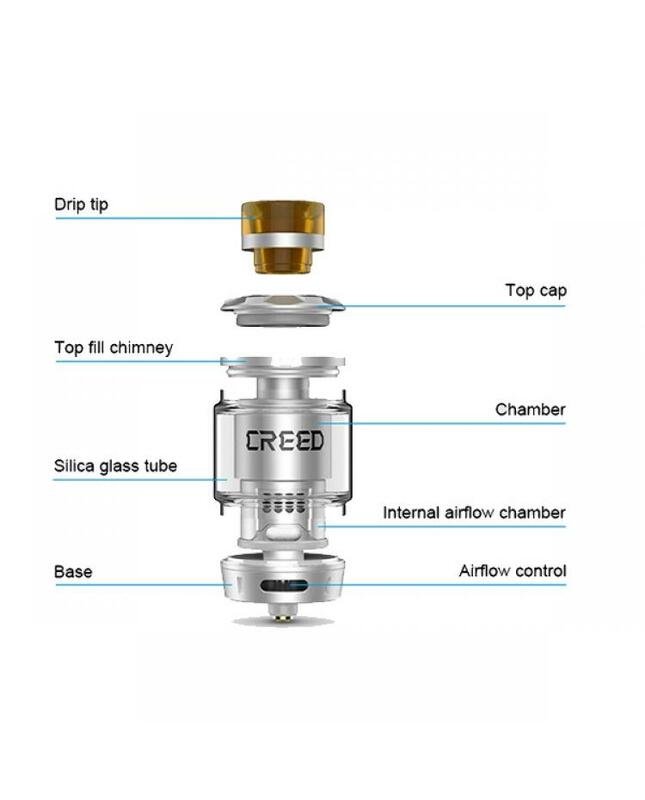 it comes with three interchangeable airflow system providing the variety of airflow options that produces outstanding flavor, it comes with three airflow caps, one with hollow strips, one with round airflow holes and the other is airtight, vapers can adjust it to your best preference. 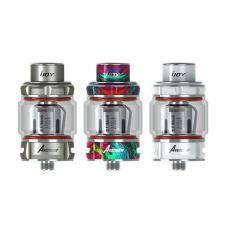 the large easy to building deck supports single coil or dual coils. 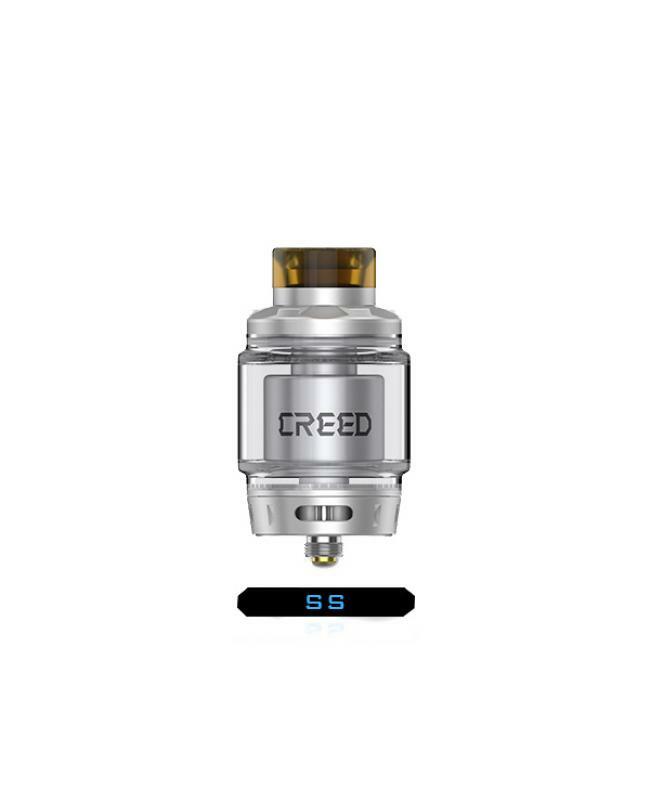 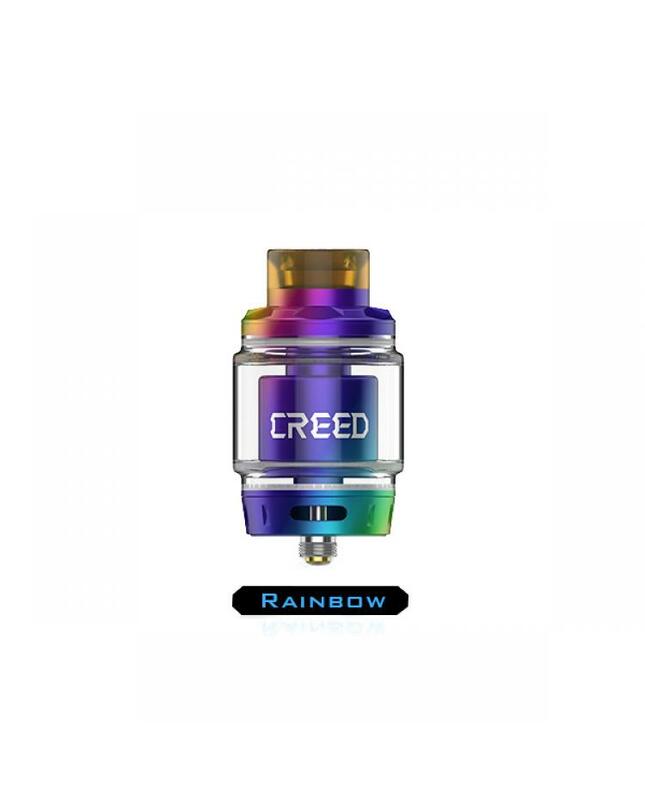 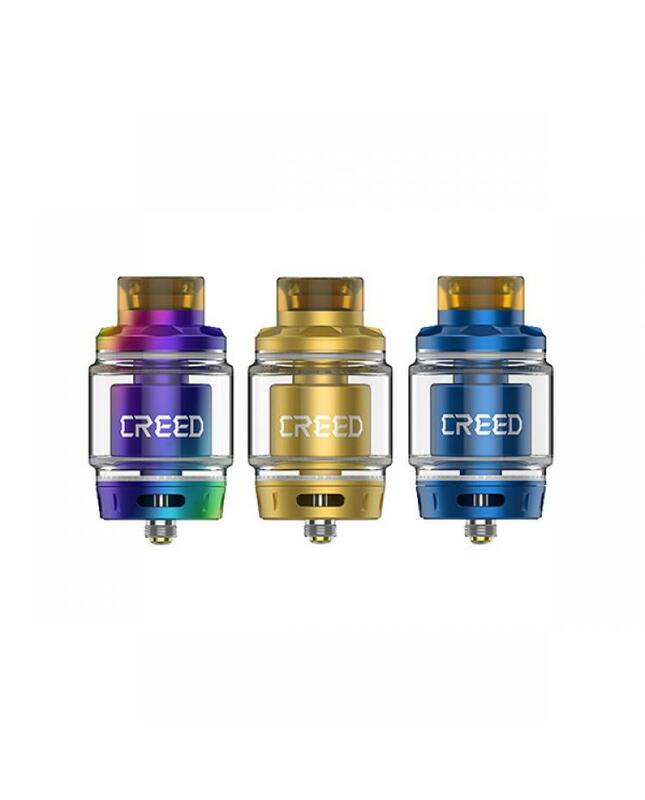 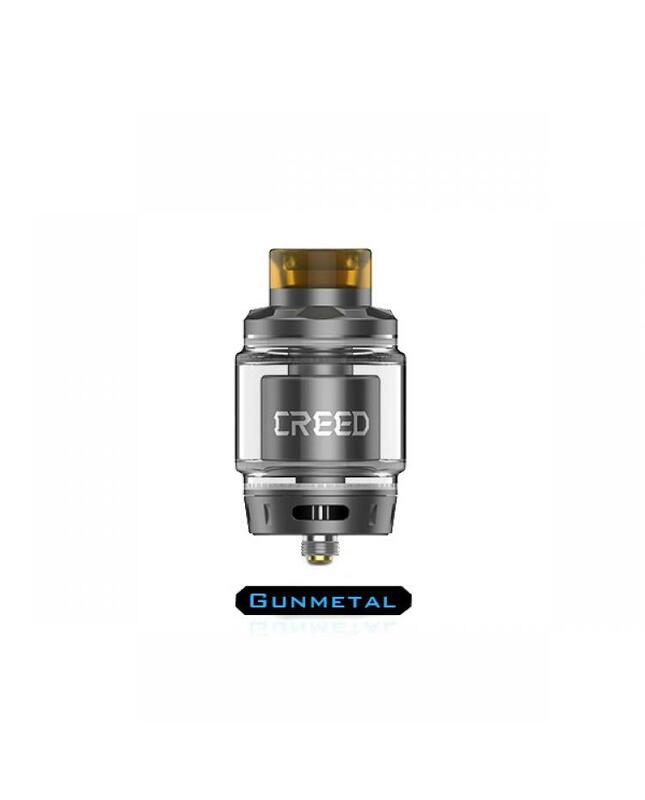 creed RTA with screw-to-open top refilling design, vapers can take off the top cap and inject your e juice simply, no leaking worry.